Scheduled to unveil at the Geneva Auto Show, the Citroen C4 Cactus Rip Curl 2017 is undoubtedly a heart-warming special edition model. The Citroen model is designed to perform amazingly through its enhanced traction and drivability. Not only this, it also receives exciting new tech features. 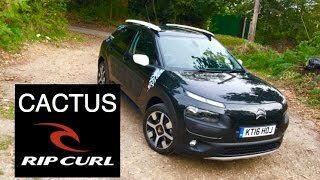 Let us have a look at the review of Citroen C4 Cactus Rip Curl 2017 to know in detail about the model. The interior of Citroen C4 Cactus Rip Curl 2017 features bright orange accents. The essence can be noticed all through the seatbelts, giving the much required blend to the cabin. Further range stitching can be noticed on the floor mats while the loudspeakers get the orange face. The seats come dipped in Mica Grey fabric as standard integration, however the buyers get an option to chose black part-leather upholstery. Both the textures get the accent of orange with them. As features, model gets rear parking sensors, camera, climate control, auto functioning headlights and windshield wipers etc. The panoramic roof gets accompanied by the tinted windows. 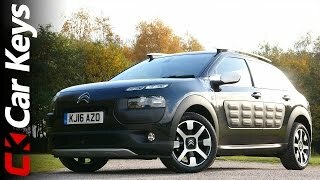 Thus rounding up the interior details of Citroen C4 Cactus Rip Curl 2017 I will call it a perfect arena created by looks and tech features. The exterior of Citroen C4 Cactus Rip Curl 2017 too gets some inclusions that make it look like a special edition. Let us start with the white roof bars sitting over the model. Along the sides you can notice the rear view mirrors and a white stripe on the wings making the model look gorgeous. The Rip Curl logo further gets complemented by the Rip Curl Signature in White lettering. The aluminum color skid plates and the black Airbump panels come as standard. However for the later buyers get the option to choose Dune, Chocolate and Grey. 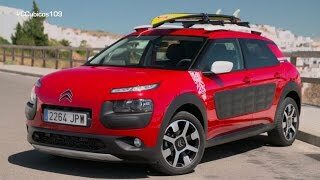 Thus rounding up the exterior details of Citroen C4 Cactus Rip Curl 2017 I’ll call it the carry forwards with the cues that speak out loud, ‘this isn’t a normal model’. 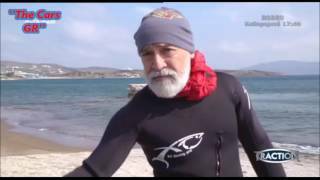 The performance figures and drivetrain specifications of Citroen C4 Cactus Rip Curl 2017 are still not out. However we do know that the all new Grip Control System will bring several driving modes like, Standard, Sand, Off-Road, Snow and ESP Off. Each of these will offer buyers a new experience and command over their boulevard.